A young man is shot in a pointless and tragic confrontation and a firestorm is ignited that misses the simple loss of a young life. A couple of girls walking on a road and one ends up lifeless as a car speeds away – more seemingly pointless loss. Cancer comes calling when you least expect it; relational break downs disrupt family life and crush hopes; people you trust end up betraying you, friends – even marriages – fail. We live . . . in a broken . . . and hurting . . . world – evidence is everywhere, and it is so easy to turn bitter and cynical in the face of it all. What is a person to do? Sometimes we revel in the goodness of God with peace and satisfaction, and sometimes, . . . we just want to give up. David captures both of these sentiments in Psalm 27 and he gives us direction as we move ahead through our days seeking to live faithfully. Rightly considered one of the more beloved of the psalms of Scripture, let’s see what light, direction, and hope we can find here in Psalm 27. Before we dig in too deeply, we need to notice a couple of things that may help us see what David is saying. First, David begins this psalm with confident affirmations about God, referring to God in the third person (vv. 1-6). Then suddenly, the tone changes in vv. 7-12 – almost to a prayer of lament where David addresses God directly crying out to Him in the second person. But second, in both halves of the psalm, David focuses on the same two ideas. He begins with confidence in God and moves to seeking God’s face in His temple. And in the second half – the prayerful portion – he dwells on the same two points, but in reverse order. He says he seeks God’s face, and he ends by expressing confidence in God. So let’s look at four aspects of the soul in these two parts of the psalm – actually three aspects or dispositions and a conclusion in the closing 2-3 verses. David’s confidence in God is found in three things: Light, Salvation, and Stronghold. Whenever we think of God, we often start with light, don’t we? Paul tells Timothy that God dwells in unapproachable light; Job speaks of heaven as the “abode of light”; and Psalm 104 says God wraps Himself in light like a garment. But it is worth noting this is the only OT reference to God being light. In the NT, Jesus proclaims Himself the light of the world; John says “God is light, in Him there is no darkness” and more. But this is the only place in the OT where God is light. Light is usually equated with “understanding” in the Bible. We pray for illumination as we read and hear Scripture. We need the light of understanding. But what did David mean by this? In this context, where enemies, evil doers, adversaries, and foes surround him, David is looking for the light to dispel fear. Where is darkness encroaching on you? What adversaries and foes surround you today? Can the light of God bring a confidence that can dispel fear? Sometimes in the darkness of depression or despair, we yearn for the light of dawn because everything looks different in the light. Second, David’s confidence in God was rooted in the truth that God was his salvation. Charles Spurgeon, in his inimitable manner, said: “Salvation finds us in the dark, but does not leave us there. After conversion our God is in every sense our light. It is not said merely that the Lord gives light, but that He is light; nor that He gives salvation, but that He is salvation.” In this context again, salvation means “deliverance” from some threatening situation. We too often jump immediate to the salvation of our souls, but remember for David, the salvation of God also meant deliverance from evil – here and now – an existential reality, not merely a spiritual platitude. I know that in a room this size, there are people who need to be delivered from evil things threatening your life. Place confidence in God, not merely for the future salvation of your soul, but in the saving of your life here and now. Finally, God is David’s stronghold of life. Enemies can encamp around him, but his safety was found in God. Proverbs 18:10 echoes this truth: “The name of the Lord is a strong tower; the righteous run to it and are safe.” Strong towers! . . . Let’s face it, our reliance on human strong towers has been disappointing. We have seen strong towers fall. So of course, I think of “The Lord of the Rings” where in one memorable scene they also relied upon towers built by men – Helms Deep – and it too failed. But there is a better metaphor Tolkien created – the mysterious tower of Orthanc. Not even the rock crushing Ents could make a dent in this solid, unbreakable, immovable tower of refuge. This is the type of tower David is talking about. So the Lord is the confidence of the soul. But now we see the soul’s desire. he will conceal me under the cover of his tent; he will lift me high upon a rock. Having spoken to us of his confidence in the Lord, now David articulates his great desire of the soul – the “one thing” that he seeks. And interestingly, this one thing includes three verbs: to dwell, to gaze upon, and to inquire. When there are distracting fears and obstacles of life, sometimes we need to return to the fundamentals – God’s person and God’s will. And this is the essence of worship to behold the Lord in His beauty; and the essence of discipleship to inquire of Him as to how we should live. One must be careful when referring to Hollywood movies, but I cannot help but remember a scene from a movie “City Slickers.” It was the story of three men pursuing adventure in fulfillment of life-long adolescence. They were never satisfied – always seeking the next thrill. On a cattle drive Billy Crystal’s character, having an authentic moment of mid-life angst, talks with the old cattleman – a guy who was centered and solid, content and at peace. So Billy Crystal asks him what his secret was, what was the answer to life? The old rugged cowboy says, “One thing.” . . . And you gotta find out what that “one thing” is. What is that “one thing” that drives you? In our world we see so many people seeking that “one thing” in so many sad and profoundly unsatisfying ways. And this is the error in the movie of course. One is left with the impression that everyone has to find whatever that “one thing” is for them – “do your own thing.” But there is “one True thing” worth desiring. David makes it plain – gaze upon God’s beauty and inquire of Him in his Temple. This is the great desire of the soul. Any other substitute will not satisfy or bring peace in the midst of crisis, loss, frustration, and the boredom of life. And here we must address a couple of cultural tensions, challenges we face in our modern condition. First, we live in a profoundly self-centered moment in our culture. We like the “prayer of Jabez” (rather self-centered) more than the “prayer of Jesus” (kingdom centered). John the Baptizer captures the right sentiment in John 3:30 when asked by his followers what to do. He said, “He [Jesus] must become greater, I must become less.” So we are assaulted by a self-centered message in our culture. But second, we have a notion that worship is also a personal thing. David uses all the possible language here to tell us he finds God’s beauty and presence in the Temple, the house, the tent, the shelter. In the OT, worship and finding God’s presence were synonymous with place and people. As “NT Christians,” too many of us immediately go to Jesus’ words to the Samaritan women: a time will come when we worship not on this mountain or that, but in Spirit and in Truth. But we err by going too far with this. James Boice has said, rightly I think, that there is something to be experienced of God in church that cannot be experiences elsewhere. We can find teaching online, CD, mp3, and iPod downloads. We can find fellowship in home groups. But there is something about being in the pew, singing hymns, listening to the preached Word in person, tasting of the bread and wine that sets apart this experience of worship as a way we see the beauty of the Lord and inquire of Him. As the writer of Hebrews reminds us, “Let us not give up the habit of meeting together, but let us encourage one another.” Let us strive to stoke the fire of that one thing we need to desire – gazing on God’s beauty and inquiring of Him in His Temple with His people. Here is the major shift in the psalm. Seven times David uses personal names and second person reference to God here. And Seven times he uses imperative verbs of supplication. But we are naturally drawn in this section to verse 10. David again states in personal terms to God that he seeks His face, but then his plaintiff cry is that God would not abandon him – and here he turns to the idea of family. What relationship is more central than that of parent and child? And what loss is more poignant than to lose or be rejected by a parent? Of course, far too common in our lives we experience disappointment with parents, even painfully abandonment or physical rejection by parents. And what a strong metaphor this this for God as our Father! What do we seek from parents but acceptance, guidance, and protection? Some are troubled by this verse because we are not sure David’s parents ever actually rejected him. Personally, I think the Hebrew clause may be rendered as a hypothetical – even if my father and mother would reject me, still/even so the Lord would take me in. Second, children look to parents for guidance. We can all remember stupid things we did as teens and young adults because we did not seek (or perhaps worse, did not follow) guidance from our parents. Wisdom is necessary for living well, and no offense to younger people (under 30! ), but you just have not acquired it yet. Here is a formula I use with young people: Wisdom = Knowledge + Time + Experience + God. Time and experience are essential components of wisdom. It is impossible to be wise at the age of 17 or even at 27. And just as we need a parent’s guidance, how much more do we need God’s guidance as we are assaulted by the surprises of life in a broken world. Finally, children look to parents for protection. And every parent knows how easy it is to fail our children at this point. Yes, there are bullies in the world and too often mom or dad is not there to protect. But God is always there. But of course, we all know times when God . . . did not . . . seem . . . to protect. Accidents do happen; hurt, pain, death do visit us. Is God otherwise occupied? Is He looking the other way at such times? No. . . . For those who are His, we know that the protection of God in the ultimate sense is sure and immovable. No matter what happens, no matter how evil the human intent may be against us, God will work such things – sooner or later – for His glory and for our good. And that is a comforting thought at the end of the day, isn’t it? 11 Teach me your way, O Lord,and lead me on a level path because of my enemies. 12 Give me not up to the will of my adversaries;for false witnesses have risen against me, and they breathe out violence. 13 I believe that I shall look upon the goodness of the Lordin the land of the living! So finally, we ask, “What do we do?” David gives us a prescription in these closing verses. David reminds us to ask for God’s teaching, to implore God to lead us onto level paths, and to give us faith to believe, to trust that we shall see what we desire: the goodness of God. So what do we do? Wait, be strong, take courage in heart, and wait. And God is worth waiting for. He is that “one thing” for which we desire. The Gospel? We seek God’s face, His presence as did David. For David, this was in the Temple. For us, Jesus has come and we must trust in Him – with that biblical, deep, surrendering kind of trust. All redemptive history is a record of God re-establishing relationship and fellowship with man. What we had in the Garden, face-to-face fellowship, was lost in the Fall. The Tabernacle and the Temple were the first steps God took to restore His presence to His people, Jesus replaced these – God was once again, in human form, with us face-to-face. And now, in the church and in fellowship with believers, we are being built into a new Temple, the Body of Christ. We find Him, we see His face, in worship with God’s people. We can wait for that full and final presence of God in His Kingdom, and we are able to wait, because we are not alone. We admittedly live in a society of instant gratification. May God give us grace, may God teach us increasingly to desire and to wait for that thing which above all is worth waiting for. Amen! Looking through some files, I found this old article this morning — printed in The Orlando Sentinel on Sept. 11, 2003, regarding Teri Schiavo and other issues. Still true today. I had a nightmare last night. Really I did. I rarely remember dreams at all, and I can’t think of the last time one was unpleasant. But this dream’s images remained, and even continued to play out just a bit more, as I drifted slowly into wakefulness this past Thursday morning. In this nightmare, the entire fabric of our society shredded apart in a matter of hours or days. I am not sure why, but whether through some devices of terror or the plotting of enemies internal or external, our relatively calm, ordered, and safe society quickly collapsed into fear, disorder, and anarchy. My wife and I frantically sought to gather family together to survive and hold onto to what we could as services like power and water disappeared and crime blossomed everywhere. It became obvious that any government restraint or military protection had vanished and we had plunged into chaos similar only to images we’d seen on TV – foreign lands in the throws of violent lawlessness. It was disturbing. People were dying and being killed right here in Orlando. It was a nightmare hard to believe as just a few hours later as I sit outside a coffee shop in the civility of a pleasant Orlando neighborhood. “Maybe it’s because today is 9/11,” I tell myself. Has our national nightmare seeped that deeply into my psyche? Perhaps. The fabric of our culture was not destroyed two years ago though. Admittedly, some good holes were blown through it. But we are well on the way to repairing those damaged spots. We’ll always see where the damage was, but the fabric in those spots is already strong again. The cultural damage I fear is far more subtle. As I sit peacefully sipping coffee and typing on the laptop, a man a few miles away, with the judicial support of “law,” prepares to kill his infirm wife by starving her to death. Though others are willing to care for and love her, he chooses to have her die. Here the fabric of our ordered culture is fraying away into lawless chaos. And just blocks from where I sit this Thursday morning in our City Beautiful, women, again supported by “law” and in the “safety” of a sterile clinic, will end late term pregnancies at a “women’s health center.” Contrary to the intent of the law (that later term abortions be restricted to health reasons), four out of five of these late term abortions will be for personal choice. The fabric of our civil culture continues to fray away into madness and chaos. We take for granted the wonder and blessing of peace, prosperity, and a calm existence. But our culture is a terribly fragile tapestry. As threads are quietly ripped away, the integrity of the whole culture is compromised. We may be closer to my nightmare than any of us care to believe when we treat the weakest among us as not worthy of life and love. That is a living nightmare. The following article was online and in hard copy print in The Orlando Sentinel on Wednesday, March 21. Though many of you probably saw it on Facebook, I thought I would keep a record of it here and add the photo that accompanied the print edition (but not the online edition). As of Thursday morning, the article had been shared by many friends on FB walls, and surprisingly, the Sentinel site records 354 “shares” and 215 “facebook recommends” — an indication of the story’s weight locally and nationally. One friend in Australia lamented that his home town was in the paper (in a very negative light) in Sydney Australia! The tragic case of Trayvon Martin begs for answers. The 17-year-old black youth was fatally shot last month by a Hispanic crime-watch volunteer in a gated Sanford community. 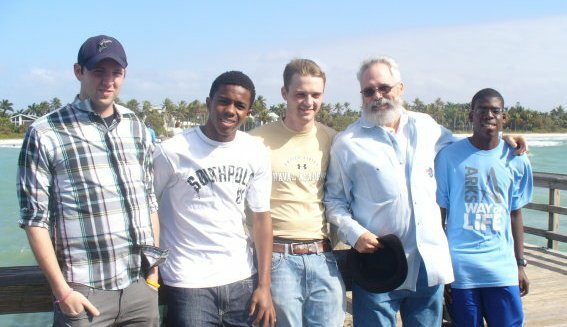 I have four sons raised in Seminole County: two white, by natural birth, and two black, through adoption. This case hits home — not just close to home — for their mother and me. If either of my white sons had been walking in that neighborhood that evening, hood up in a drizzling rain, I am confident they would not have been shot. But I wonder now, if either of my black sons had been walking there, whether either might have lost his life that night. This is profoundly troubling. If this neighborhood-crime-watch volunteer had followed the 911 dispatcher’s order to stay in his car, this black youth would not have been shot by George Zimmerman. Period. End of story. But Zimmerman did leave his car, an altercation did ensue, and Trayvon was shot. Why Zimmerman has not been arrested is confounding. Perhaps the Sanford Police Department is being silent, waiting for federal investigators to take over. But the silence only foments more and more protest, more and more suspicion. Mike Beates (third from left) with sons Jameson (27), Eli (19), Abraham (24), and Josiah (18). The released 911 recordings, far from clarifying, only fuel the fires of want for answers. Why would a teenager with a pocket full of Skittles and an iced tea initiate an altercation with an unknown man? Did Trayvon see a drawn gun and fear for his life? Why, if Zimmerman was screaming for his life, did his screams for help stop immediately after a shot was fired? Why did he not follow the clear instruction of the 911 dispatcher? What situation was so life-threatening in Zimmerman’s eyes to cause him to leave his car? How far away from Zimmerman’s car was the scene of the altercation and shooting? An armed man leaves his car to follow (pursue?) an unknown (suspicious?) boy who ends up dead. If the Sanford Police have information that exonerates Zimmerman and implicates Martin, the department needs to release it, or arrest Zimmerman. It is that simple. No happy ending to this story is on the way. But one thing remains true: If Zimmerman had waited in his car as instructed, Trayvon Martin would likely be alive today. The black community is protesting. But every other ethnicity should be equally concerned that justice prevail here. For this father of black and white sons, complete disclosure from authorities cannot come too soon. Michael S. Beates lives in Winter Park. The first month of summer 2010, I drank deeply from that great American experience of highway driving – some 3,000 miles of Eastern seaboard interstates in three weeks. The Eisenhower Interstate system is a wonderful thing, but it does not change human nature. I gleaned some serious spiritual lessons while observing other drivers – and myself! Perhaps you share my experience. As five, ten, or even twenty cars line up patiently in the left lane to pass a slower truck, those few antinomian drivers among us speed by in the right lane intent on cutting in farther down the line. Most don’t signal at all – they just muscle over to the left, cutting in line. Others signal, not out of courtesy, but as a warning. They don’t ask permission – they are coming over, so look out! In fact, their act of signaling is rather odd. They have already broken traffic rules and social protocol – why use a signal now? If you think about it, this sort of rude behavior saves these drivers what? A good five or ten seconds on their journey, . . . maybe. So it’s obviously not about the time saving. Rather, their passing on the right and cutting in farther down is an expression of human nature and some deeply held convictions about life. Technology is good – don’t get me wrong, I am not a Luddite calling for a return to the days of horse and buggy. But technology too often also results in the alienation of one human from another. Though we travel at break-neck speed mere feet or even inches from other human beings, we treat them in manners we never would if we were face-to-face. But encased in our 2,000 pound metal, glass, and plastic bubbles, we can be as rude as we please. We wouldn’t think of acting this way in a line at the bank or in the grocery store (well, . . . maybe some people think of it, but the closeness of human contact prevents us from such actions in these venues). The more people passed me on the right, the more I began to realize this pattern revealed a microcosm of human philosophies. The oversized pick-up truck driver is obviously the Darwinian Naturalist. He is bigger and drives by the evolutionary rule of the survival of the fittest. You have to let him in . . . unless you are bigger still. Then there is that sporty Z-car driven by the Existentialist. “I am fast, therefore I pass anywhere and anyone I want.” This driver validates his existence through the experience of his Z-car. No one else matters in the moment. Even more troubling is the Nihilistic driver of some piece of moving junk. Neither stronger and bigger, nor faster and snazzier, this guy believes there is no meaning in life whatsoever, so why not pass on the right and barge in. It simply doesn’t matter – if he dies, he dies. So what? All of these driving habits also display the post-modern penchant for self-fulfillment. There is no bigger idea of culture or rule. There is only Me and Now. Then, finally, there are those of us who remain moralists or theists. We still hold to the existence of objective truth, to some sense of absolute right and wrong. We believe there is order in world and thus we wait in line to pass on the left. It is a good thing to do; in fact, the right thing to do. Passing on the left remains a cheap and rude transgression of the moral order of things. So we see deeply held convictions displayed in the simple act of driving on the highway. As I contemplated these thoughts behind the wheel, I muttered to my teenage and young adult children, “The right lane is the wrong lane for passing – these people have no concept of right or wrong.” But then again, I had to admit that for such people, “right” and “wrong” are relative terms and more often than not, their personal experience determines right and wrong. But hope springs eternal. I believe still that there is a place for civility – even on the highways. But in our automotive bubbles, we too often allow our humanity to devolve into displays of power and selfishness. So lest we surrender to the faceless technological wielding of power and end in chaos, I will continue to wait patiently to pass on the left, to allow the “other guy” time to come over, to blink the lights, nod the head, and even perhaps make personal contact with those other human beings. It’s a small thing, admittedly. But it’s the right thing to do. 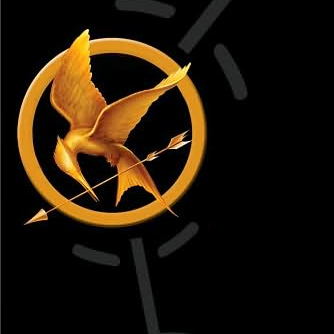 A few weeks ago I began to notice numerous students of mine carrying any one of three books from the recent trilogy “The Hunger Games.” And then I overheard their conversations as they excitedly anticipate the release of the first of the movies (March 23rd). So I read the books. Without spoiling the story for you, allow me to comment. We are witnessing a growing number of stories in our day that fall into a genre portraying what I call a “post-apocalyptic dystopian world.” It’s not an entirely new notion. In fact as long ago as 1957 Nevil Shute’s book On the Beach (with a 1959 movie starring Gregory Peck) introduced this genre to the American public. In that story, a crew of sailors on the submarine USS Sawfish were the last remaining Americans, waiting in Australia for the deadly nuclear fallout (the result of a war in the northern hemisphere) to drift south and wipe out the rest of humanity. More recently there has been no shortage of movies including the “Terminator” series, the “Matrix” series, “The Book of Eli,” “I am Legend” and more. All are set in a world where some event (usually man-made) has caused such destruction that human civilization has been threatened or profoundly altered. “The Hunger Games” approaches this subject from the first person perspective of a teen aged girl – thus some of the appeal to students in 2012. Hundred years in the future in a completely reorganized North America, an unnamed country organized into 12 districts is controlled by “The Capitol.” Reminiscent of the Greek myth in which King Minos requires seven boys and seven girls from Athens to battle the Minotaur in a labyrinth, so the Capitol requires each “district” to choose one boy and one girl annually to compete in “the Hunger Games.” This fight to the death reminds the reader of the Roman gladiatorial games: the contestants are called “tributes,” they enter the “arena” in chariot-like vehicles before being thrown together in a fight to the death. Some critics have said the book is one part reality TV genre (Survivor meets American Idol) and one part video game genre (look for the video game by September!). In the course of the “games” over the three books, many lives are taken, but the description of the violence is not nearly as gory or as detailed as is common practice in our day. The descriptions of violence seem rather to emphasize the unjust plight of the teen tributes and the gross desensitization of the Capitol dwellers who are entertained by the whole affair. In their existential boredom, the favored Capitol citizens seek extreme “entertainment,” which includes watching others suffer brutality and die gruesome deaths – again, much like ancient Romans. All this said, the books offer some redemptive (if confused) ideas worth pondering. The two or three primary teen-aged characters spend significant time talking together about what it means to be human, what genuine love looks like, and how one can be loyal in the midst of terrible circumstances. These are certainly good questions for teens to consider. But all of this is confusing as these important thoughts somehow emanate from a world with no mention of the divine or the supernatural. In my 7th Grade Biblical History class last week we briefly discussed a verse in Proverbs: “Whoever oppresses a poor man insults his Maker” (Prov. 14:31a). Students quickly made the connection. We are created imago Dei (in the image of God). To degrade another human insults the God in whose image this person is made. Then I reminded them of Fyodor Dostoevsky’s observation: “If there is no God, everything is permitted.” In a world where there is no God, one must conclude there is no ultimate meaning, therefore, no binding reason to act with altruism toward your neighbor. In such a world, we cannot say the Hunger Games are “bad” – they are a reflection of what the powerful desire over the powerless. Morality becomes absolutely relative. And the book concludes with one character continually asking a question (as he recovers from having been brainwashed by the powerful): “Real or unreal?” In the end, if God does not exist, this is THE question. If students can penetrate the mere drama of the story, there may be profitable questions to discuss from The Hunger Games. For a more extensive discussion of these issues, one link to consider (of several on the web) is the following: http://jwwartick.com/2012/02/20/hunger-games-christian/.